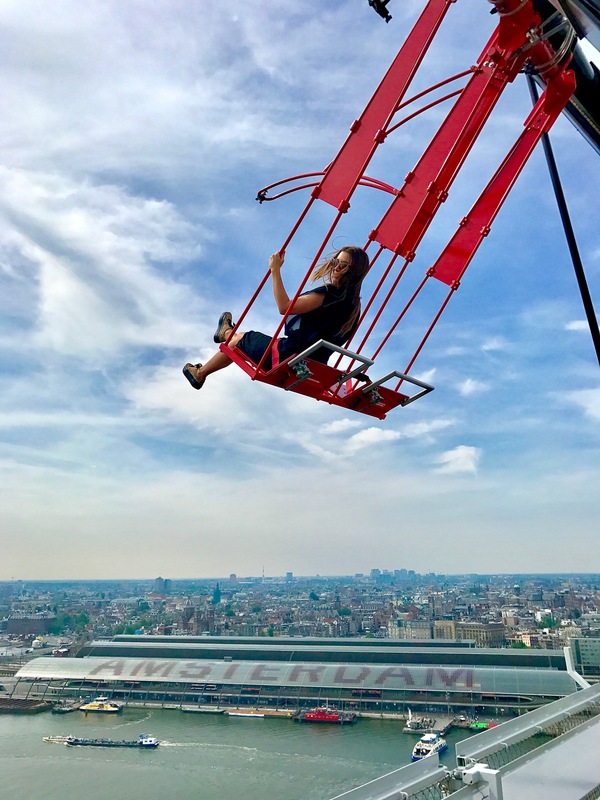 Try the Europe's Highest Swing at A'dam Lookout Tower in Amsterdam! 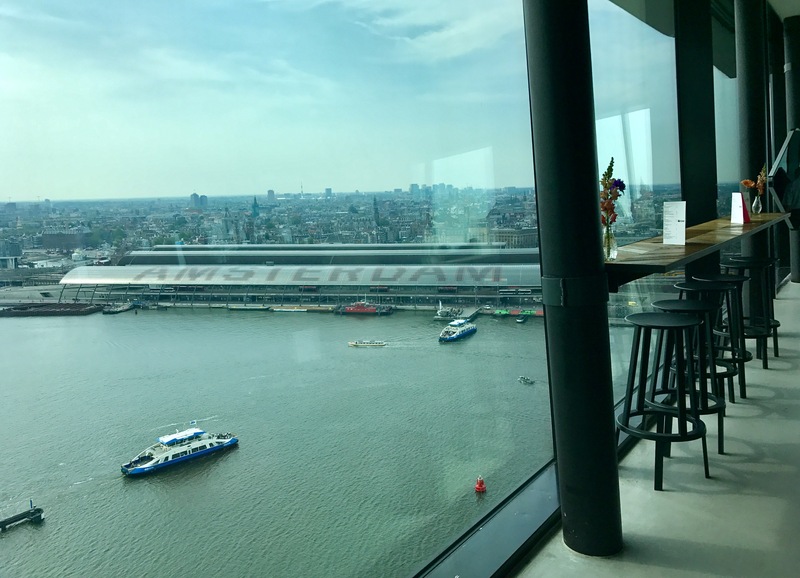 If you are planning a trip to Amsterdam, I would highly recommend you to visit the A’DAM Lookout observation desk to get a spactacular 360º view of the city center above the Canal Belt and the port! Once there, you can also experience how swinging 100 meters above the ground feels like! You need to go straight to the central station, then walk through to the opposite side, near the port. Walk out to the left till you arrive to the ferries pier. 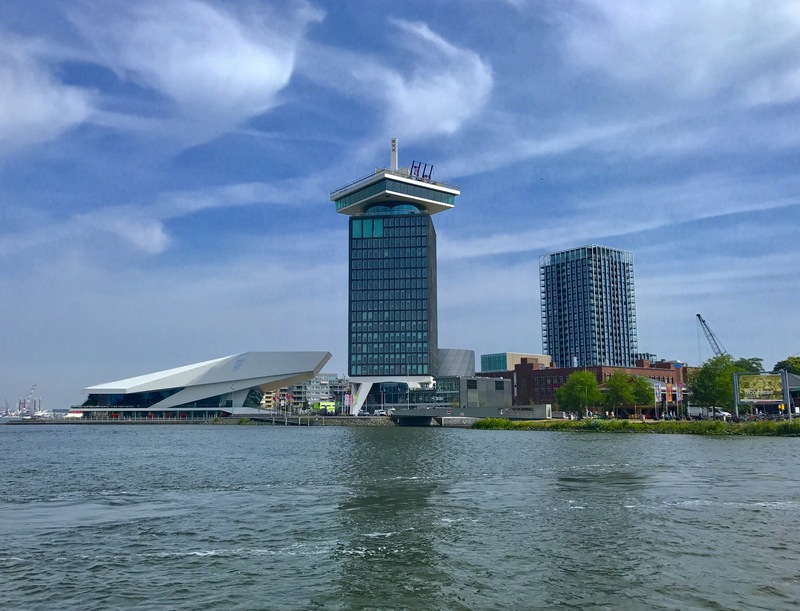 Take the first ferry on the right, it is free, and it goes constantly back and forth to connect the city center with Buiksloterweg area, where the tower is located. You can actually see it in front of you from the ferry pier. It is straight on your left when you get off the ferry, next to the beautiful white building of the EYE Film Instituut Nederland. 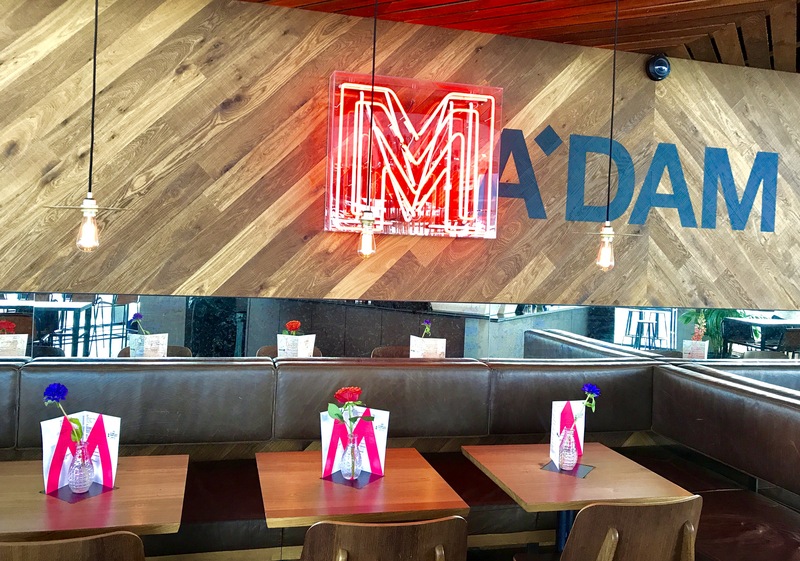 Until November 5th it is open from 10am to 10pm. (10:30am – 9pm during the rest of the year). 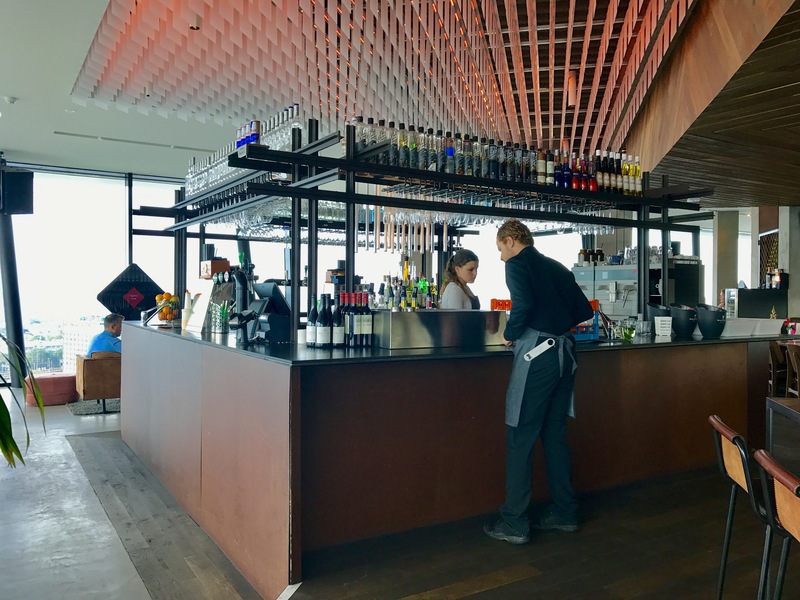 If you are willing to feel pure adrenaline in your body as I did, you should add 5€ to the normal ticket to go to the sky deck (€12.50) and heading straight to rooftop to try ‘Over the Edge’, the Europe’s highest swing! I loved swinging above Amsterdam! On your way up, you have also the chance to experience a light show inside the elevator! I personally loved it! 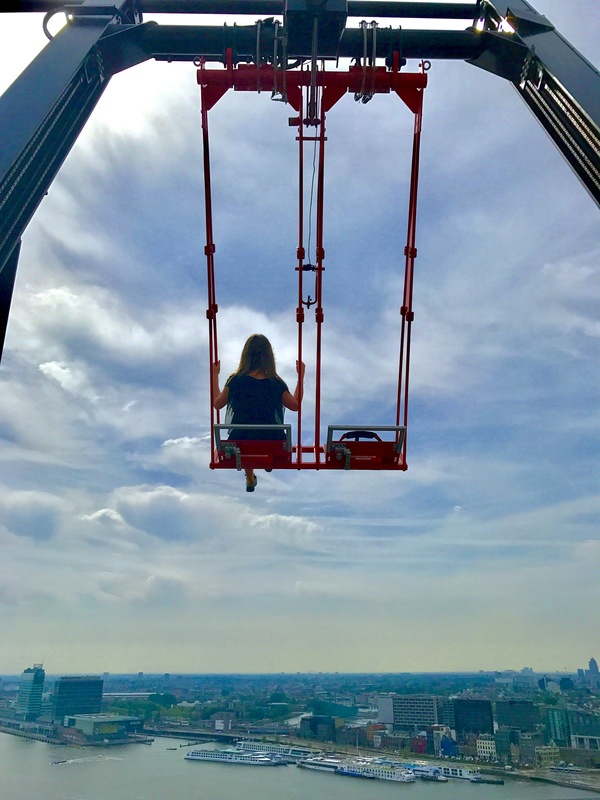 You will swing for 2 minutes 100 meters (329 feet) above the city, feeling the wind on your face with a breathtaking view below and in front of you! I really felt like a bird as hands and feet are free in the air! 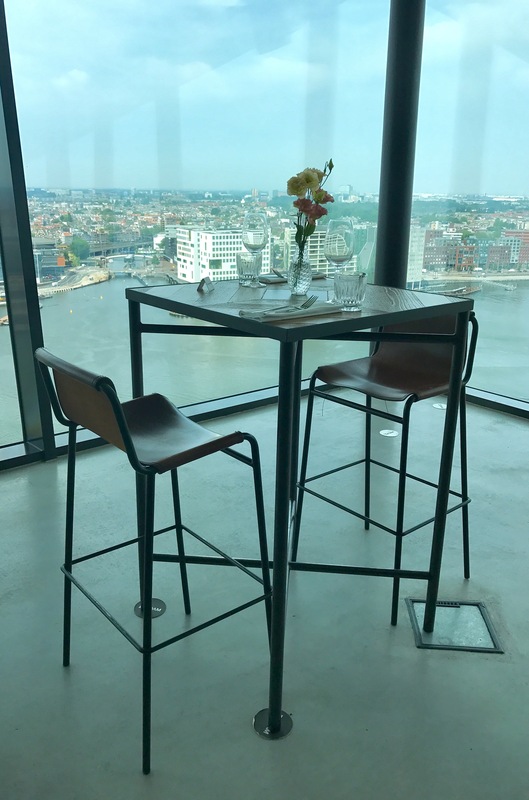 The A’DAM Lookout Tower features also a 360º indoor panorama deck where you can have a meal or simply have some drinks, while enjoying a really unique view of the city. 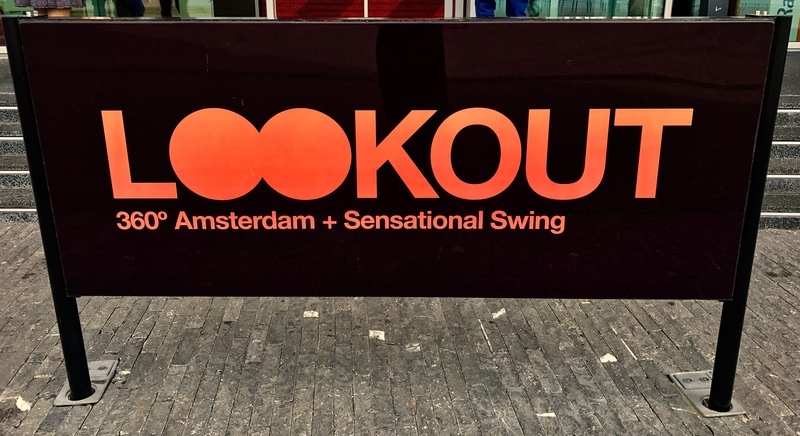 I highly recommend this experience in Amsterdam!